The State Emblem of the Republic of Kazakhstan has the shape of a circle and is an image of a shanyrak (upper vaulted part of the yurt) on a blue background, from which uyks (supports) diverge in all directions in the form of sun rays. To the right and left of the shanyrak are images of mythical winged horses. In the upper part there is a volumetric five-pointed star, and in the lower part there is an inscription "Qazaqstan". 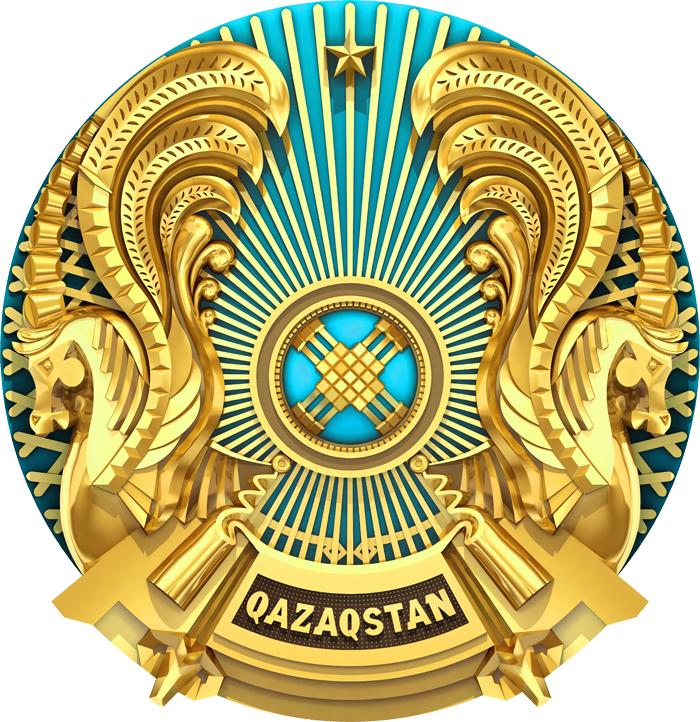 The image of the star, shanyrak, uyk, mythical winged horses, as well as the inscription "Qazaqstan" - the color of gold. 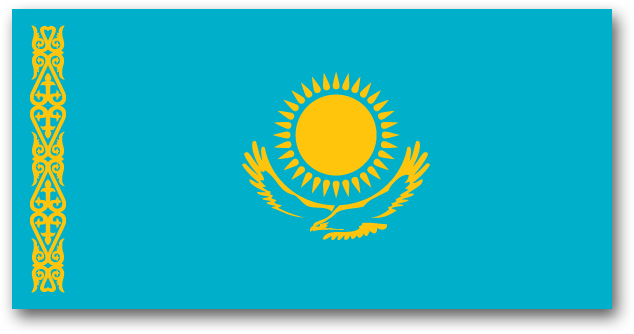 The State Flag of the Republic of Kazakhstan is a rectangular breadth of blue colour with the image of the sun in its center with a soaring steppe eagle underneath. Along the flagstaff there is a vertical band with the national ornamental patterns. The images of the sun, rays, eagle and ornament are of golden colour. 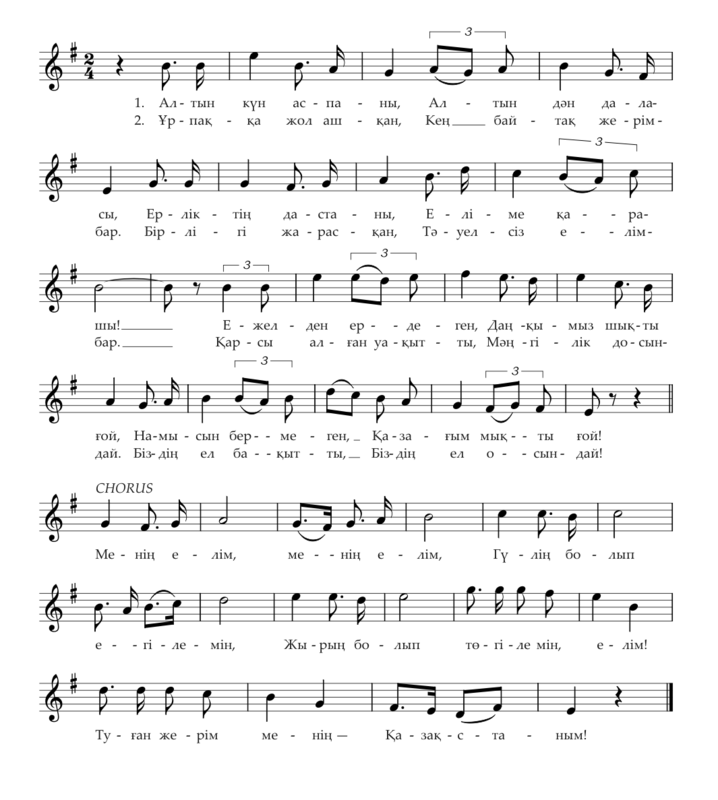 The ratio of the Flag's width to its length: 1:2.